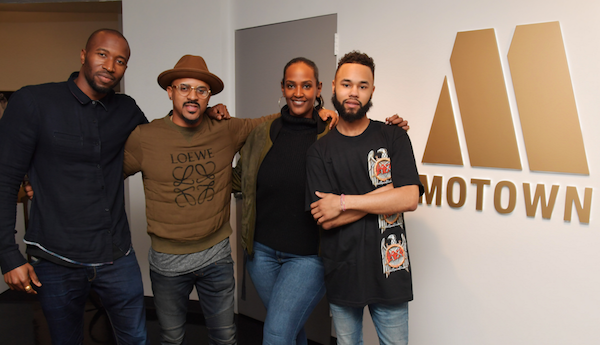 Chaz French just signed a new joint label deal with Motown/Capitol Records and his 368 Music Group, co-founded by Raheem DeVaughn, and the release of his first single under the deal, "Way Out" is out now. "I’m happy for my label 368 and I love my new Motown family," says French. "I’m super excited to represent the DMV. It’s not just about me, it’s about all of us." Chaz is the newest addition to the Motown/Capitol hip-hop line up, which has been increasing in recent years. In 2015, Atlanta-based Quality Control Music signed a joint venture with Motown, which brought on board OG Maco and Lil Yachty to the major; Migos joined Motown/Capitol last month; and Rich Homie Quan signed aboard at the end of February, with his own debut album due this spring.